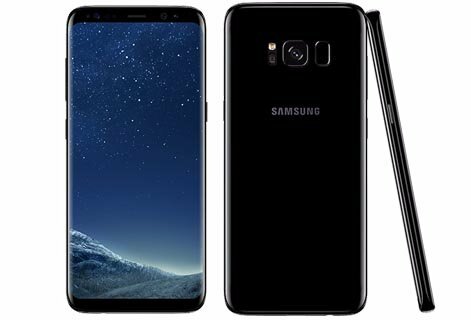 Samsung knows people are loving Curved display design so this time they decided to launch Galaxy S8 with curved display, Apart from enhancing the overall looks of the phone curved display also helping in offering a large usable display without making size of device huge. There is no Side bezels in phone, top and bottom bezels are also very narrow. to make maximum usable display company also removed physical home button as well as navigation bar. Now The navigation bar is on the display and it is also customizable. The left edge has Volume rockers and power key, a fingerprint scanner is located to the right side of rear camera, Bottom of phone housing a 3.5mm audio jack, USB Type-C port & Speaker Grille. 5.8 inches screen having 1440x2960 pixels (WQHD+) resolutions and 570ppi of display density has immersive visual experience. The Combination of a Bezel-free display with 18:9 screen aspect ratio providing a best wide screen for media consumption, this display also making simultaneous multitasking easier. This is one of the most efficient Super AMOLED capacitive touchscreen in any Galaxy series phone till now. To protect this lenient display company also fixed it with Corning Gorilla Glass 5. As a traditional rule, this phone is also launched with two different chipset, US version of Galaxy S8 has Qualcomm MSM8998 Snapdragon 835 while in rest of the countries it is launched with Exynos 8895 Octa. Both Chipset are comes up with an advanced 10-nanometer design. Snapdragon 835 is 35% smaller and uses 25% less power than previous version CPU and Adreno 540 GPU supports up to 25% faster graphics rendering and 60x more display colors compared to previous GPU Version. On other hands, Exynos 8895 Octa CPU delivers up to 27% higher performance or 40% lower power consumption when compared to 14nm CPU and its Mali-G71 MP20 GPU improved by up to 60% compared to its predecessor. Means both the chipset version of Galaxy S8 are far better in performance when compared to previous CPUs. Samsung applied "Sticking to Goodness" formula instead of improving in camera, it has 12 MP Primary and 8 MP secondary camera with f/1.7 aperture same as Samsung Galaxy S7. Although just because of up-gradation over CPU, some new features are introduced in camera too, like while taking a photo it takes 3 photos and merges them to get most suitable and sharp picture. The Best thing about its camera is - It works surprisingly good even in low light with the help of F1.7 lens and large 1.4µm pixels. 8 MP Secondary camera is also doing a great job for taking selfies which is featuring f/1.7 aperture can record 1440p videos. We can smell that Samsung is afraid of increasing the battery capacity after a notorious explosion of battery in Galaxy Note 7 so this time they launched Galaxy S8 with only 3000 mAh battery. but here is a point to be noticed that the new processor consumes 25% less power than its predecessor so a user will get a better battery backup with this Smartphone. An eye-catching design with full metallic built. 12 Primary | 8 MP Secondary camera is quite capable of taking stunning photos even in night/ poor lighting conditions. 18:9 Aspect ratio screen, simultaneous multitasking is fun now. You can extend memory up to 3000 mAh. Bezel-free Smartphone having a maximum usable display. It has World's first 10nm processor. Samsung introducing Bixby voice assistant for the smartphone. Phone support Dual SIM Cards. Fingerprint reader moved right next to the rear camera (Odd position to use). Supports Dual SIM but Hybrid. Only 3000 mAh battery for 5.8 inches phone (Not Enough). This piece of gadget is including all the best features of Galaxy series phone, it has 5.8 inches curved display without sacrificing the compactness of phone, a best mobile camera till date with amazing low light picture quality and World's first 10nm Snapdragon 835 processor offering lightening fast performance coupled with 6 GB RAM. because of optimized CPU 3000 mAh battery can offer decent back as chipset takes 25% less power. although some people may love to choose LG G6 or Galaxy S7 Edge over this phone.